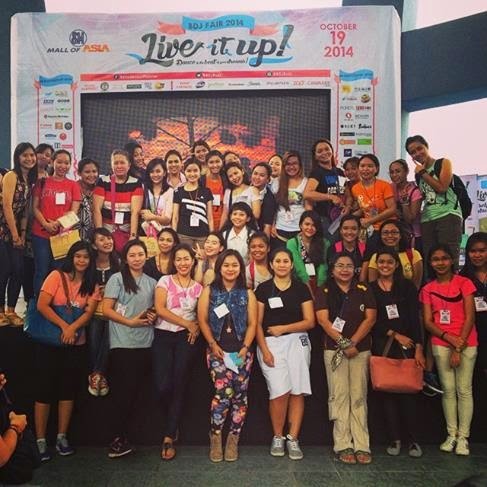 Another BDJ event has commenced and it was this year's BDJ Fair with the theme Live It Up last October 19 2014. It's a yearly event for Bellas to celebrate a day off from work or school just to enjoy this day. It's also the launch of the BDJ planner 2015 which I was so disappointed I didn't get. My story below. 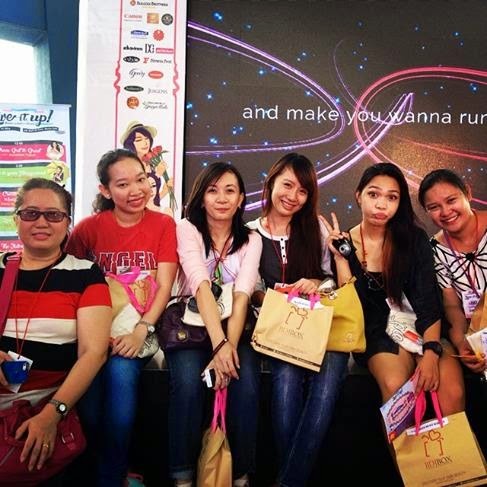 All pre-registered Bellas are entitled to a VIP pass to exciting fair activities, fab goodies, and lootbags! They're also entitled to a lot of awesome stuff and fun and extreme fair activities! I pre-registered at the event and got my VIP pass just by paying 100php. 100% of the funds raised will go to a certain group because BDJ is supporting an advocacy and extending help to others. To make the most out of my FIRST BDJ Fair experience, I signed up for the Scavenger Hunt. I was just curious on how BDJ team handles a scavenger hunt game which I really think would really be fun so I immediately messaged them with my desire to join. I got lucky and I was picked as one of the contestants! So I left Pampanga very early to go all the way to SM Mall of Asia so I won't be late for the game. I arrived exactly 15 minutes before 10am which is the briefing for the scavengers. All teams were made up of dance names and I was teamed up with Team SWING. The game was composed of different challenges in every station and the first to pass every challenge wins! To cut the long story short, WE WON!!! We got the prizes and we got each other's social network accounts. I was so happy that I was able to meet new friends at the fair. It's my very first event that I got to know someone and still exchanges messages with them. Thanks Bellas! After the Scavenger Hunt game, my teammates and I went on separate ways since most of them were waiting for someone unlike me because I am all alone but while touring around the hall, some of us ended seeing each again. Grace, Umi. and I had our hair curled by Status Salon. After doing so, we then again, head to different spots. Mister Donut are giving away bread if you'll like their FB page. Since I was hungry, this turned out as my lunch. Yosi Samra will let you try on a pair of shoe and get the chance to pick a prize! I really wonder if someone got lucky here. This booth by Spectrum Med was one of the #PerksOfABella and they're giving skin analysis. I wasn't able to try this because of the long line. Wall climbing inside SM Mall of Asia ground. I really want to do this but I want Jaycee to be with me when I'm exploring heights because I have acrophobia and I feel that he's the only one who understands me! T_T There's also a zipline which I forgot to get a photo. Got some discount vouchers and a pen from Ace Water Spa. 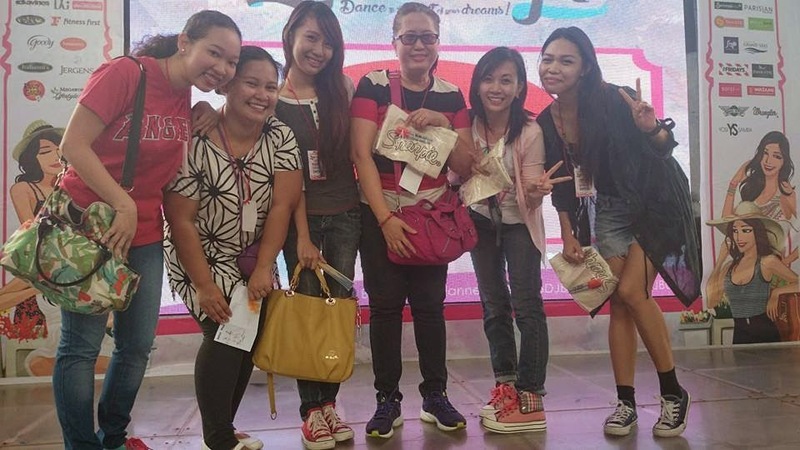 They were also present last Blogapalooza 2014! Host for the fair. Sorry, I forgot her name. Ann Jacobe was the speaker for the first talk I attended. TGIFridays offering some drinks! This was my next stop after the first talk I attended. I didn't know what Fitness First was offering because I wasn't able to talk to the staff of their booth. Everyone was busy. A very perky and enthusiastic staff from SM Parisians and Bags. I think he was my lucky charm. 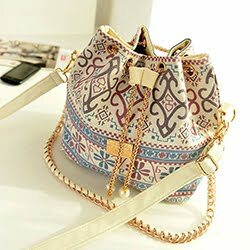 I won a cute bag. Check my loot bag photo below! Revlon stopped giving free nail art service. This was also included as one of the #PerksOfABella but I wasn't able to get a makeover nor a nail art service. I was kinda sad about this because I really looked forward that they will provide the service. 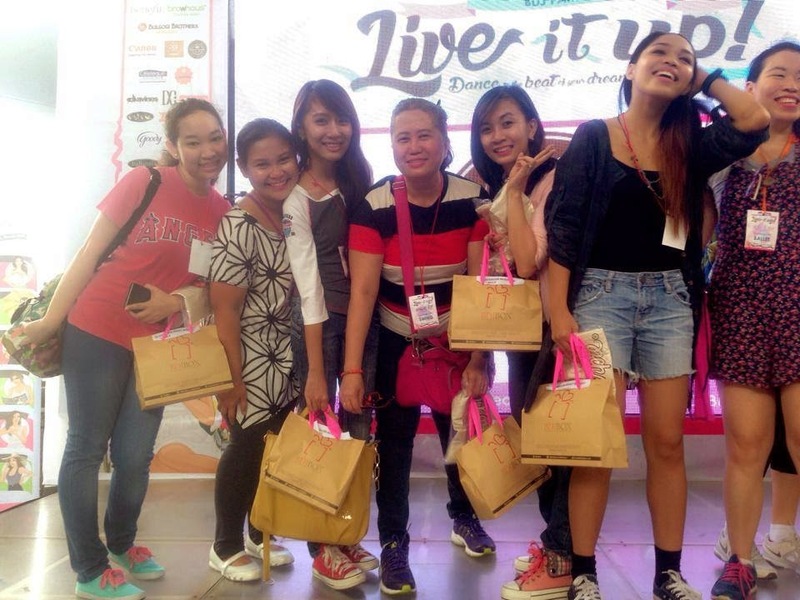 Get your BDJ 2015 planners here at a discounted price! 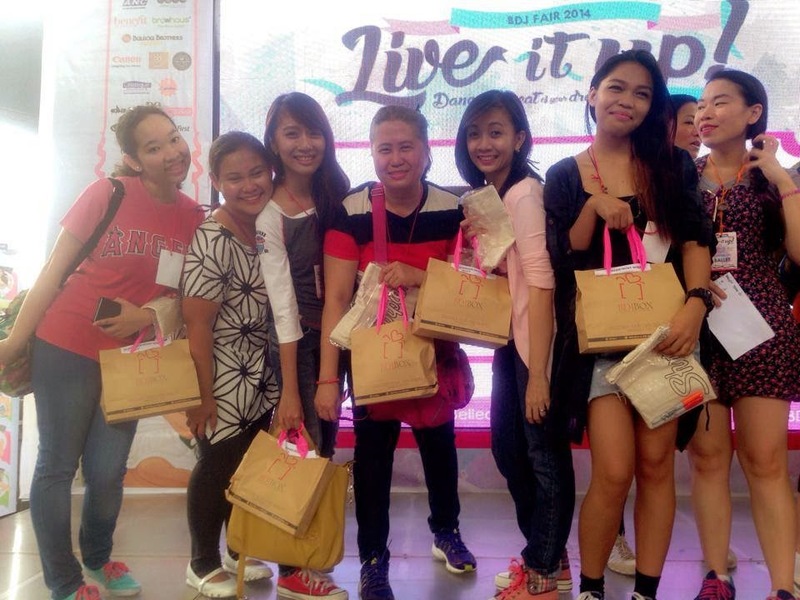 I Will #LiveItUp this 2015 Freedom Wall! Zap was also present last Blogapalooza 2014 and I already got their card so I didn't lined up anymore. I saw that they're giving free ice cream and I was developing colds that time so I pass. When I visited the Pet Express booth, the staff gave me a slip of paper so I can drop by their store at SM MOA and claim their free gift. I got the gift when I was about to leave the mall. Davines are offering free hair styling but since I already got curls from Status Salon, I didn't lined up anymore. More of the different activities for Bellas like Tarot reading. Another spot where you can buy the planners and notepads. Jam with Ukulele Manila at the Roxy booth. Here, the staff will give Bellas a paper bag and you can design it. Then you will just need to go to their store inside the mall and present the paper bag and receive some gift. I got baller and stickers from them! I was blessed to take home some loot bag from the fair. Thank you to all the sponsor for making the event a huge success and of course to BDJ who never fails to make every Bella happy! Kudos! Free gift from Pet Express. I didn't got the chance to photograph this with the rest of the loot because I immediately gave this to Jaycee's dog. Chuchi really deserve this! Winnings from the BDJ Scavenger Hunt! I have read this before but didn't join because it was too far from me eh mas malayo ka pa pala galing ka pa ng pampanga galing! It looks fun though. What can I say, another fun filled event! And ang daming take home sis. Nice one!